All boats must be hired from Fairview Sailing. The contact is Mike Sellers, 02380 457023, info@fairviewsailing.co.uk, website: http://www.fairviewsailing.co.uk. Fairview set the basic sailing competency requirements for skipper and mate and you should discuss your qualifications with them. The boat hire fee will be around £1,500-1600. A deposit of £400 is required to confirm a booking, with the balance to be paid about a month before the event (last year it was by 1st May). Entry fee is likely to be £440, and this will include the racing, dinner and mooring fees. The IDOR is a team event, and so most of your crew must be from one department or sailing club. All crew members must be members of CSSC and CSSA: CSSC provides funds for this event. Membership can be paid for by payroll deduction or direct debit. CSSA membership is free to members of CSSC. Virtually all crew sleep on the boats. The boats have two double quarter berths, one double bow berth, and two places in the cabin – so you are in close quarters with 7 other people for the whole week. Enjoy! One eighth share of boat hire (£190). One eighth share of entry fee (£50). Food and drink for lunches and breakfast – typically from the local supermarkets (£20). Typically we have a simple round the buoys race on Monday with few complicated manoeuvres. The rest of the series comprises two “offshore” races (meaning the course takes us out of the Solent), and four inshore races (inside the Solent). One of the offshore races is typically “Round the Island”. 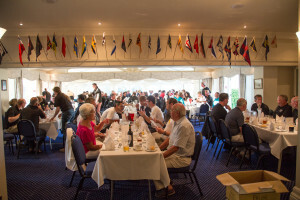 The regatta concludes with a prize-giving dinner on Thursday evening and a passage race back on Friday, for which a separate special prize is awarded. 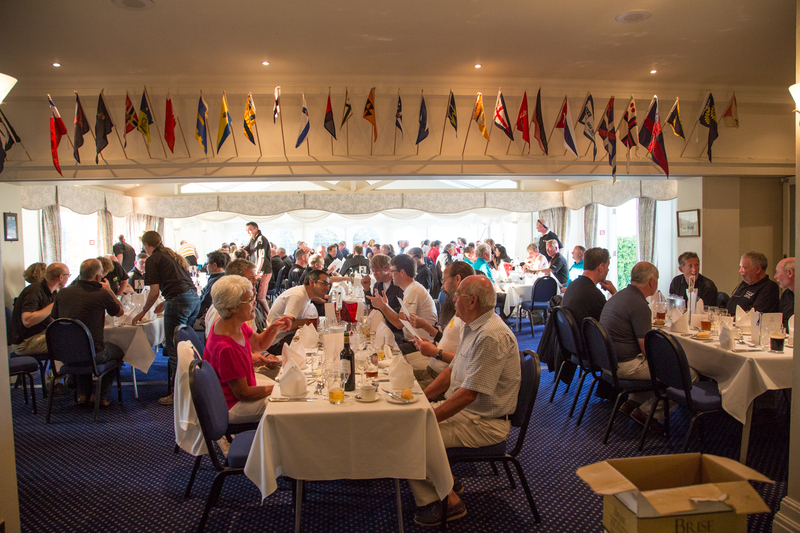 The regatta dinner will be held in the Cowes Yacht Haven where the boats are berthed. There will be a menu posted on the Documents page of this web site and the 2016 menu is available for reference. Dress code is “smart casual” and crew shirts are very much encouraged. No shorts, jeans or T-shirts (except crew T-shirts), please.